“One way to open your eyes is to ask yourself, ‘What if I had never seen this before? Stars still shine brightly and the sky is dark blue at six in the morning. The winter air is below freezing. One by one and then two by two, people gather on a Brooklyn street corner in New York City. They wait for the bus going to a Citizens’ tour of Pennsylvania. Each person carries gallons of pure bottled water with them. The water is a gift for people living in eastern Pennsylvania. The sky brightens to light blue. The trip leader repeats Everyone’s names for each new arrival. It sounds like a chorus. The group welcomes a Finnish film crew. They are tall with cropped blonde hair and mostly silent. A New York filmmaker with a head of curly hair and wearing glasses joins too. He is not so silent. People are still sleepy. They don’t know one another yet at the beginning of the day. By nightfall, when all the travelers head back to their own homes, they will. The sun rises. Everyone boards the big bus. It rolls out of Brooklyn, across the dark gray water of the East River. The bus passes through the island of Manhattan. The city streets are lined with shining skyscrapers. They are built of stone and steel. The rock doves New Yorkers call pigeons think the streets are stone cliffs for their nests. The birds circle above in flocks predicting rain or maybe snow. The bus emerges from the city. The group travels south through the thick haze of Elizabeth, New Jersey. The strange sulfurous scent of industrial air creeps in through closed windows. Farther on, the tall yellow marshes of the Meadowlands sway slowly over still gray waters. 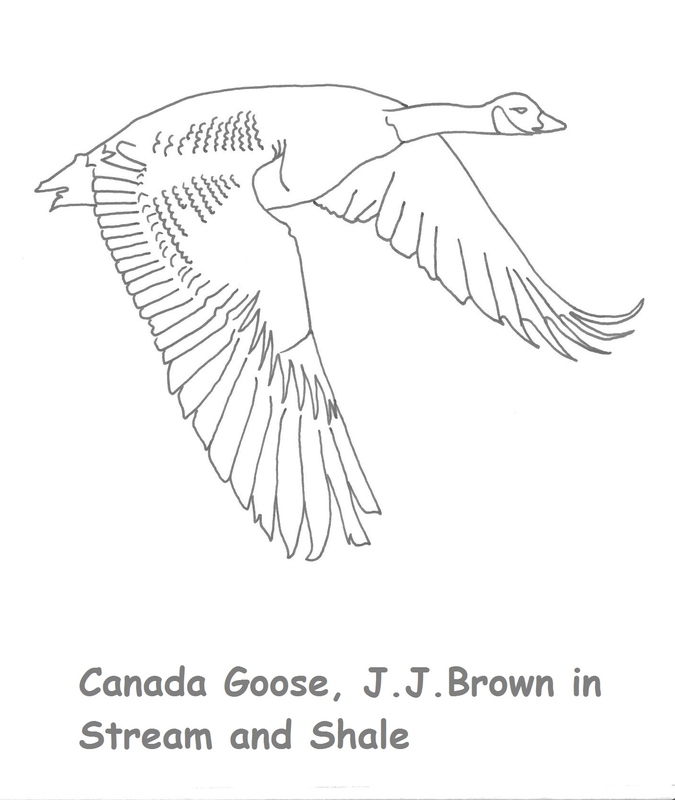 Stream & Shale Coloring Storybook is my first book for children and families, with 17 line drawings to color. The true story is the one-day journey from Brooklyn to Dimock and Montrose, PA where fracking (shale gas drilling by hydraulic fracturing) has shaped the environment and community. 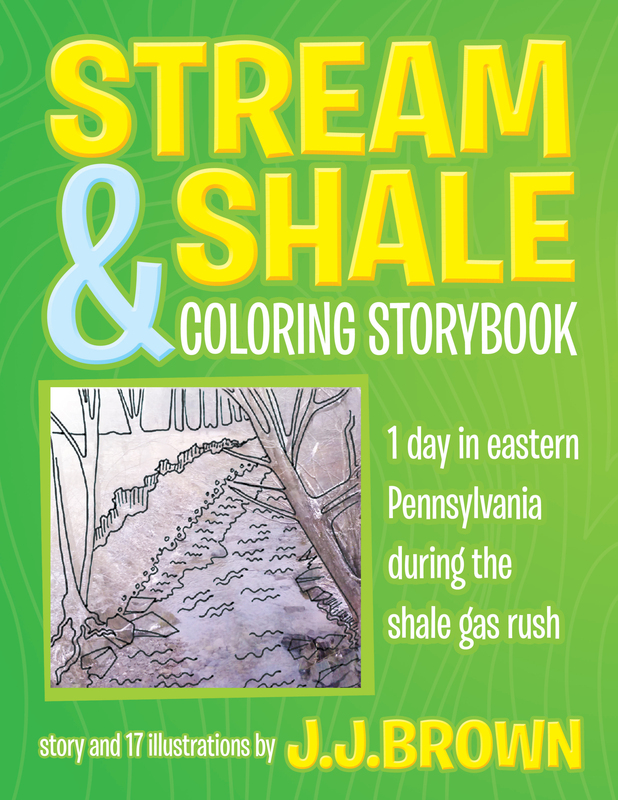 I hope you’ll share Stream & Shale with the children in your family and community. Here’s a new perspective on arts education…congratulations, J.J. Brown!